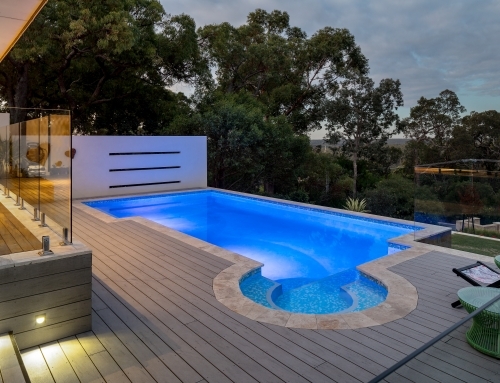 This pool spa combo makes an entrance statement to the home, the Woodlands was designed to encapsulate and caress the house development. 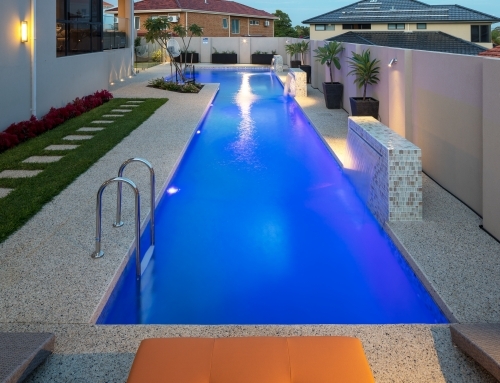 Constructing the pool prior to the home build allowed us to design the pool wall to sit abut the house wall. 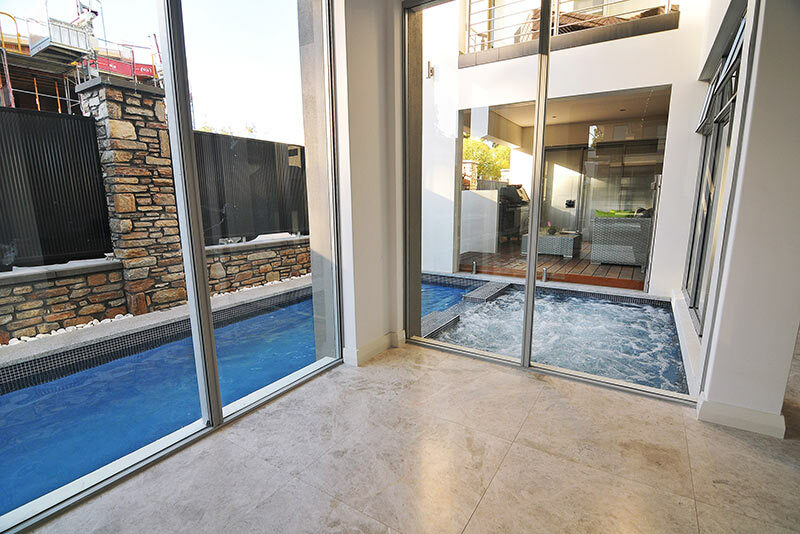 The spa is finished in glass mosaic tiles and features an integrated spillway which cascades into the lap pool. 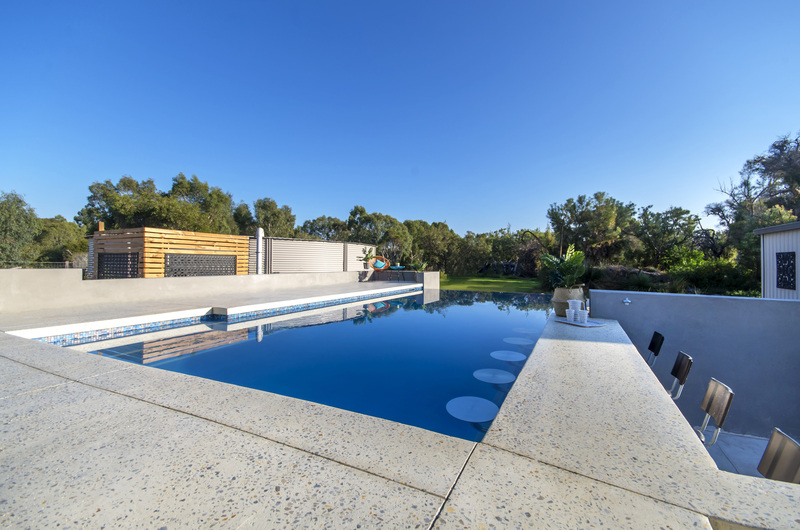 Working closely with the builder we were proud to exceeded all client expectations from this project. 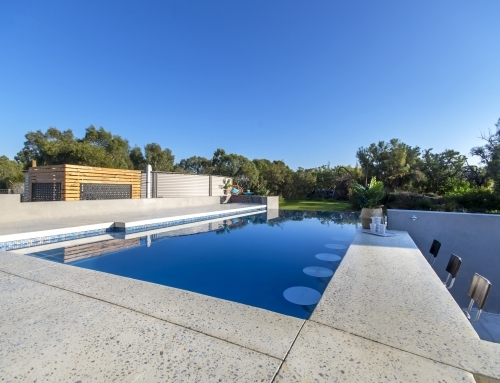 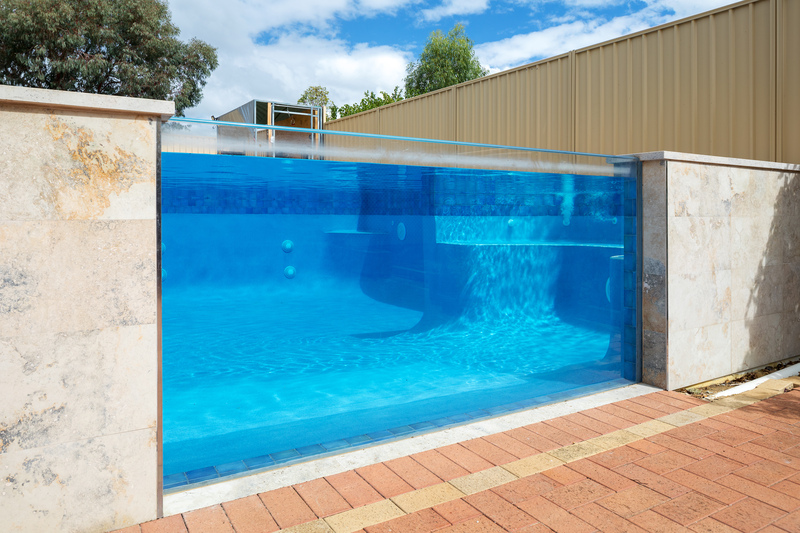 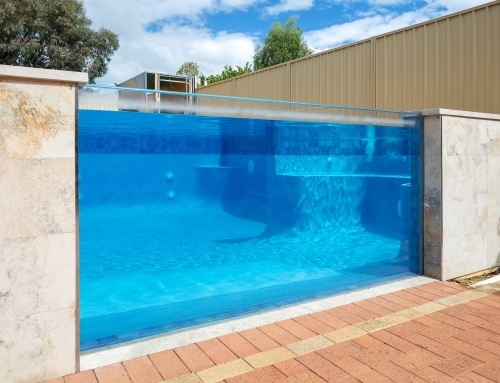 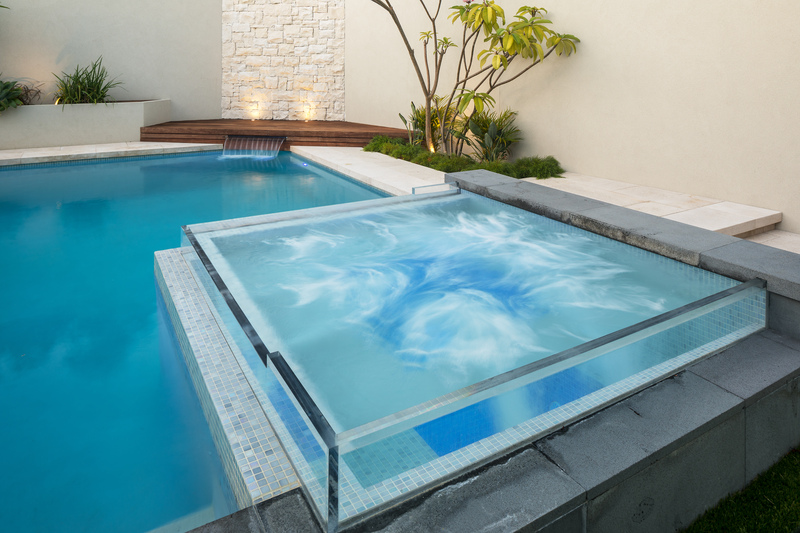 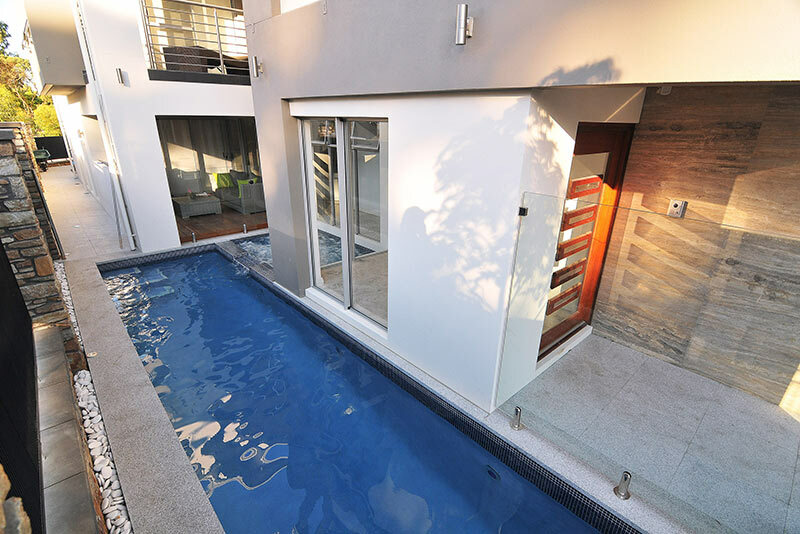 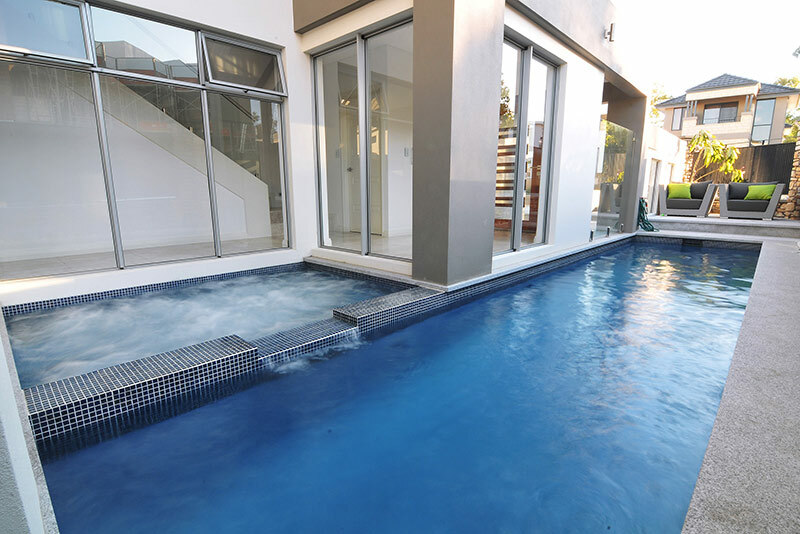 This 6 x 3m courtyard pool reflected our clients’ opulent taste in fixtures and fittings. 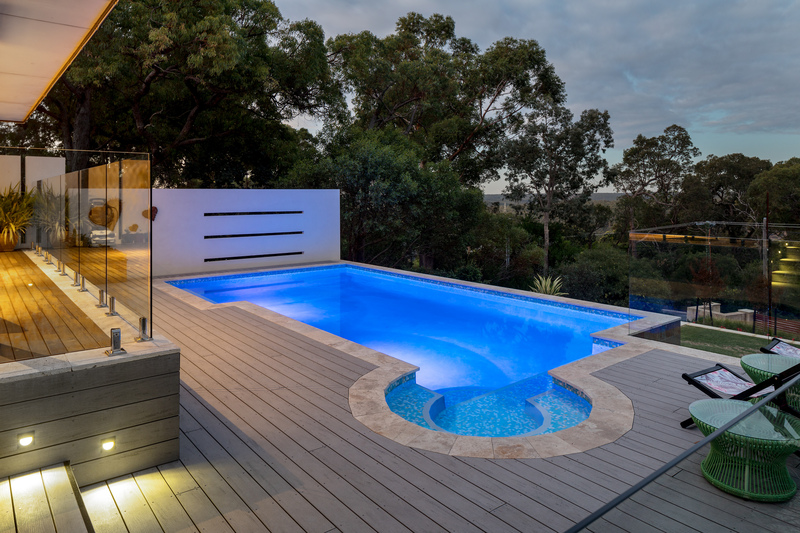 Constructed prior to the house build, the two areas flow together seamlessly with high quality glass mosaics used throughout the pool to flow from the al fresco area. 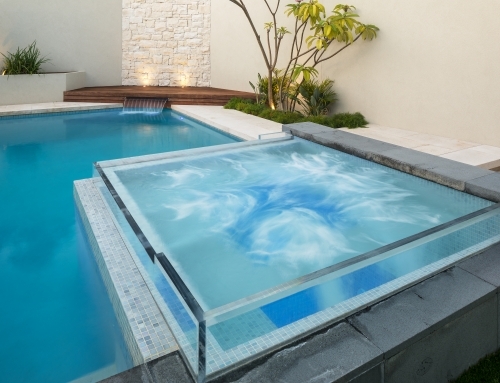 A flooded sunpod was integrated into the design allowing bathers to laze in the shallow waters. 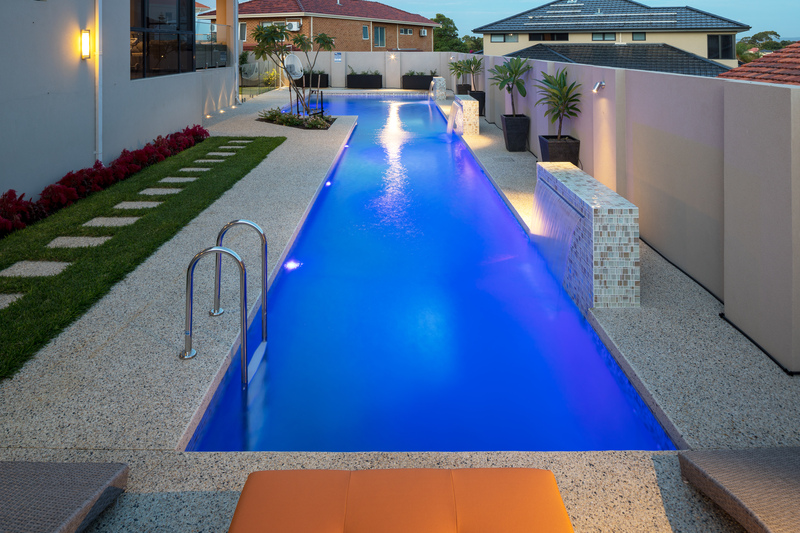 LED lights bask the pool in a deep blue hue, whilst calming waves of reflective light dance throughout the living and outdoor spaces.